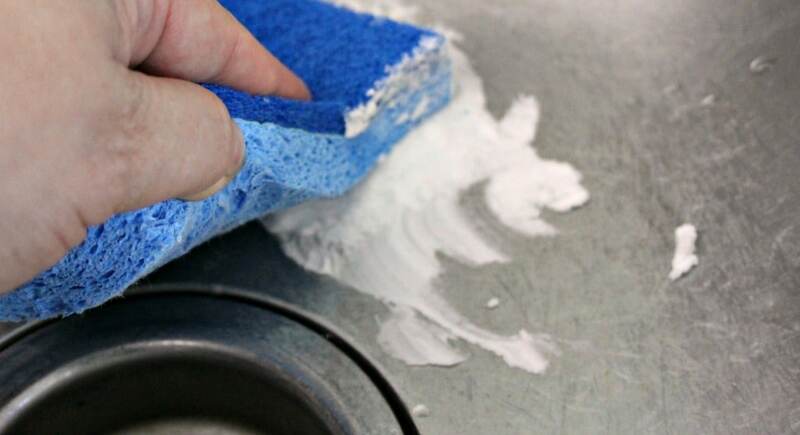 A soft scrub comes in handy when tackling tough cleaning jobs like stains and grime in the bathroom and kitchen. Unfortunately, the kind you buy in the store often contains chemicals that can irritate sensitive skin. 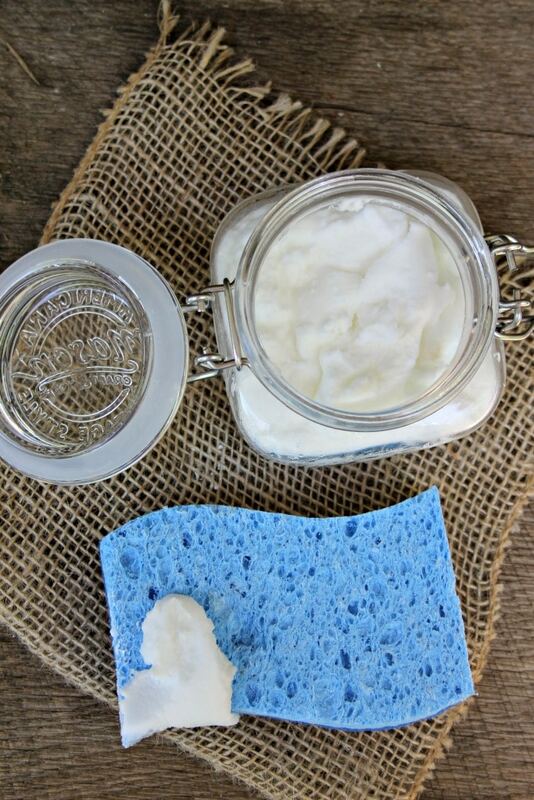 Make your own homemade soft scrub cleaner with natural ingredients for a clean, fresh-smelling home without worrying about skin irritations and chemical scents. My son and I have extremely sensitive skin, so I have to be careful about the products that we use that come into contact with our skin. That’s the reason that we’ve been gradually making the move to homemade cleaners in our home. The most recent change is in our soft scrub cleaner. 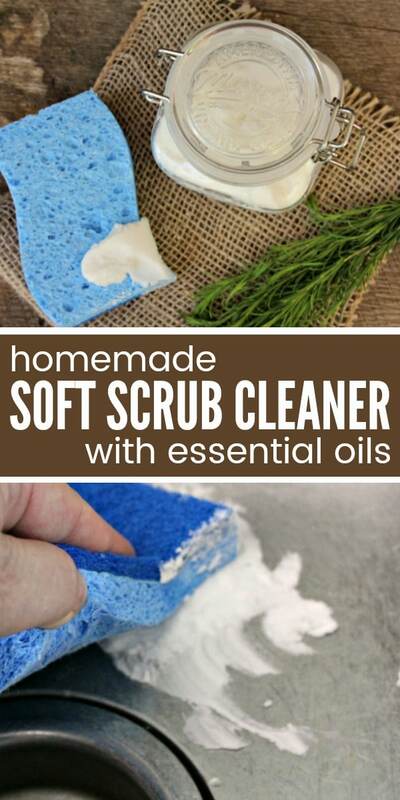 This DIY soft scrub is fantastic for both kitchen and bathroom use. It works well on sinks, toilets, tubs, and showers. 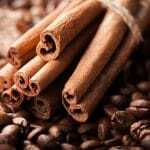 The natural ingredients provide germ-killing power with a pleasant, not too overpowering scent. This is a bonus for me since strong smells often cause me to get headaches as well. Looking for more reasons to make the switch to natural cleaners? You can save a couple hundred dollars a year on cleaning products. For instance, I buy a huge bag of baking soda from Amazon, and it lasts me ages when making homemade cleaners. Essential oils, too, are a good investment, because you only need a tiny amount for a big impact. But you’re here for the homemade soft scrub recipe, so let’s get to it. 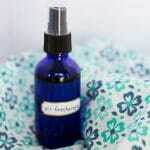 Make your home smell great naturally with this simple homemade air freshener spray. Get your laundry clean for a fraction of the cost with our 3-ingredient homemade laundry detergent. 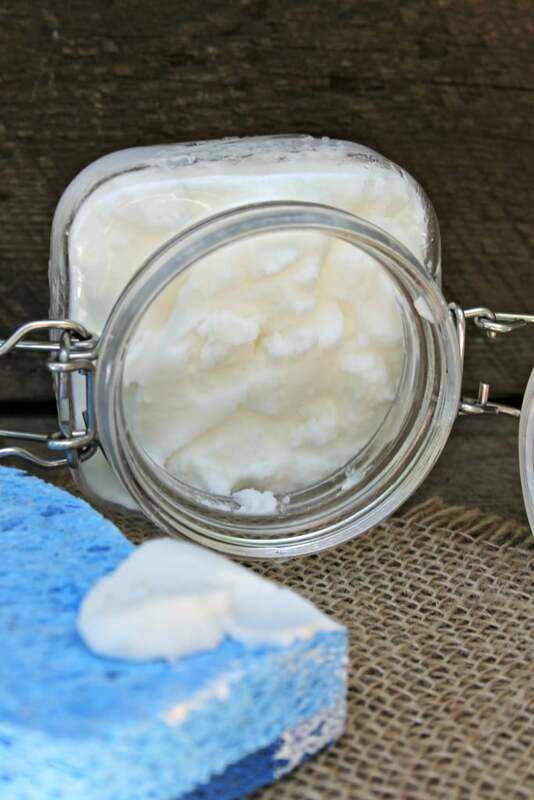 Save money on hand soap by making your own DIY foaming hand soap. It’s so easy! Step 1: Add baking soda to a small bowl. Step 2: Add soap to the bowl. 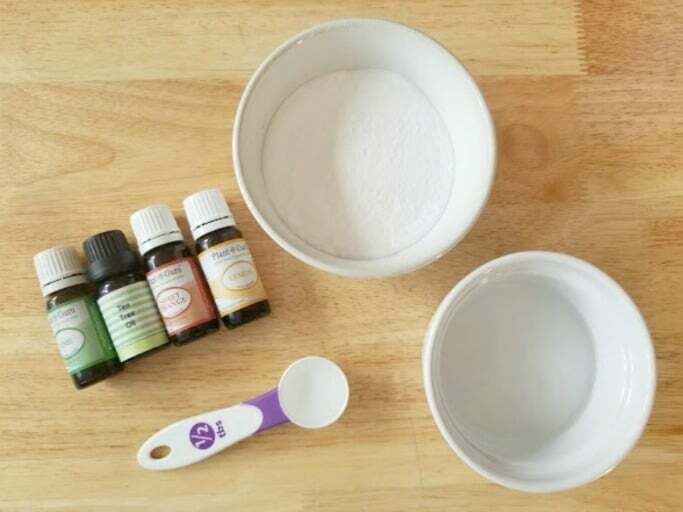 Steps 4-7: Add the essential oils. 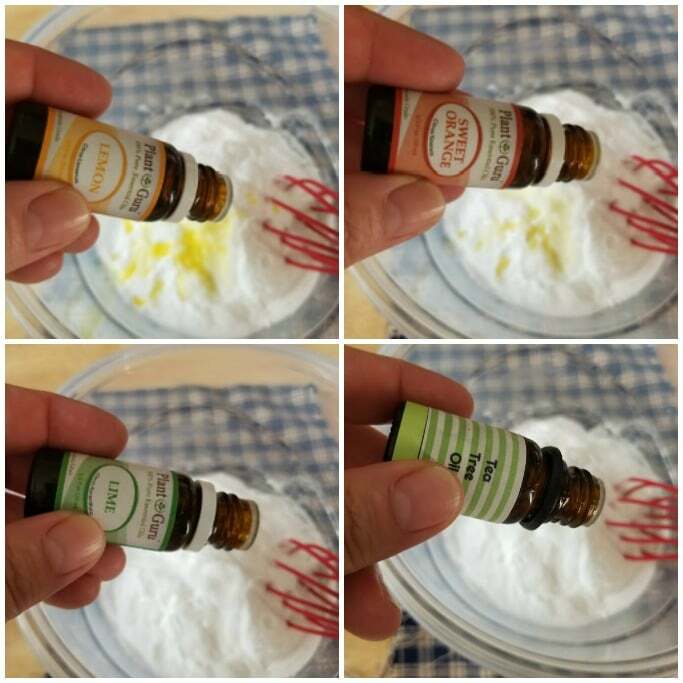 I chose these essential oils because they are great for killing germs and cleaning. 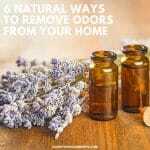 They also boost your mood and are a wonderful air freshener. This way your house is clean, smells great and you are happy, even though you just cleaned the house! Step 8: Mix ingredients together until a creamy paste. Step 9: Store in an airtight container, like a jar or Ziploc bag, until ready to use. 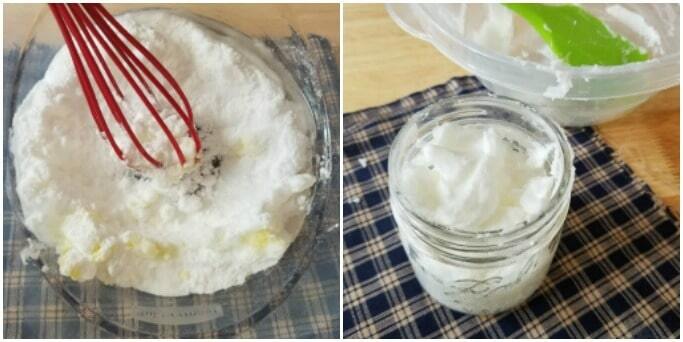 When you fill the jar with cleaner, be sure to leave a little room at the top in case of expansion. A couple of inches at the top should do the trick. 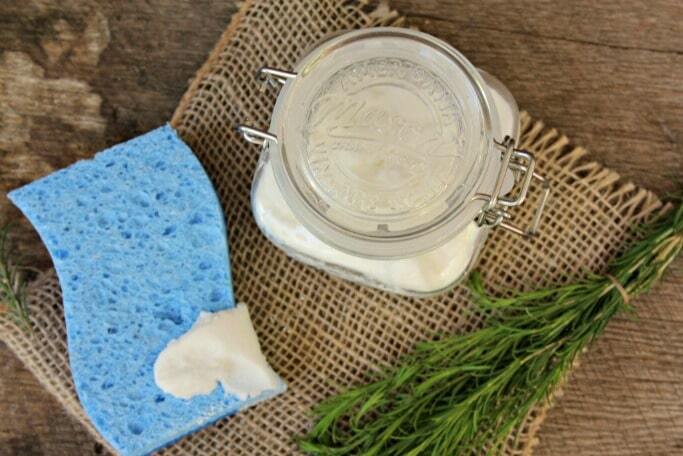 Enjoy cleaning with your easy homemade soft scrub!